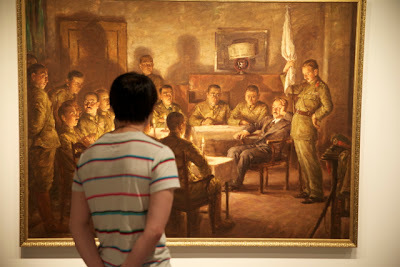 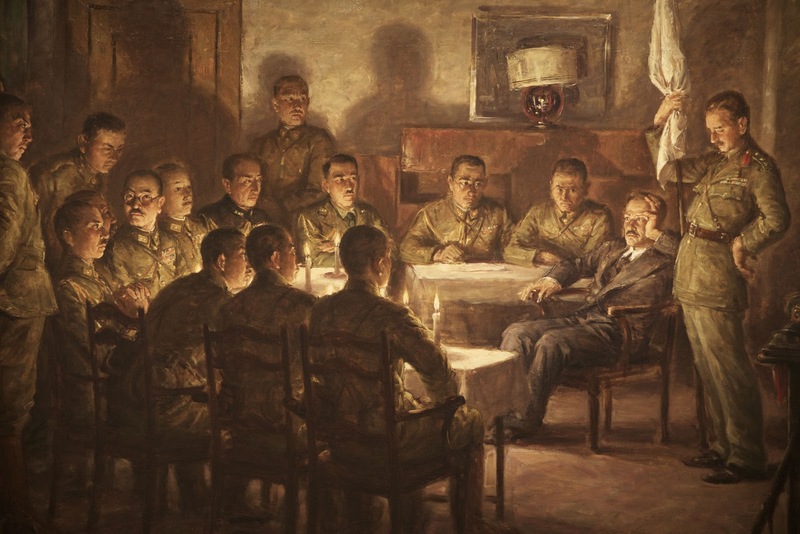 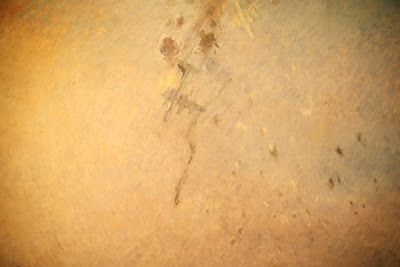 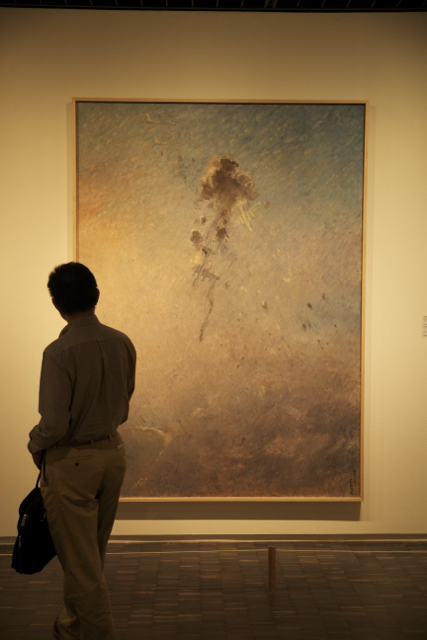 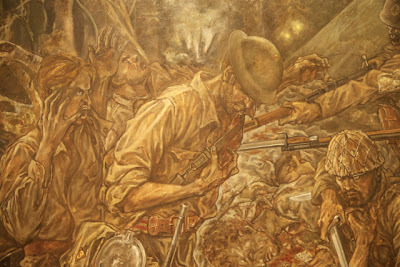 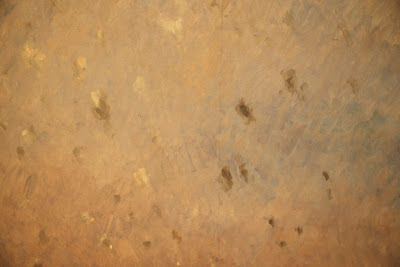 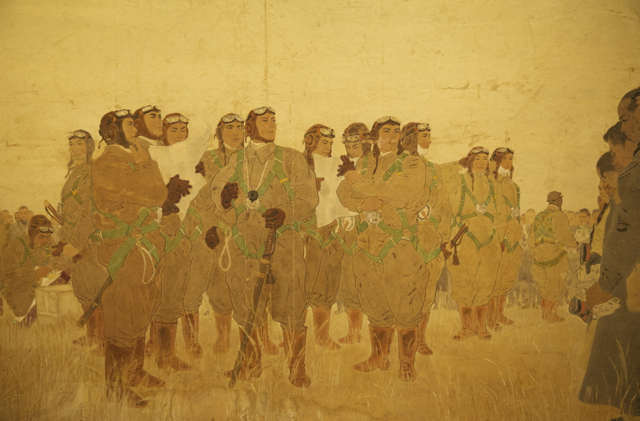 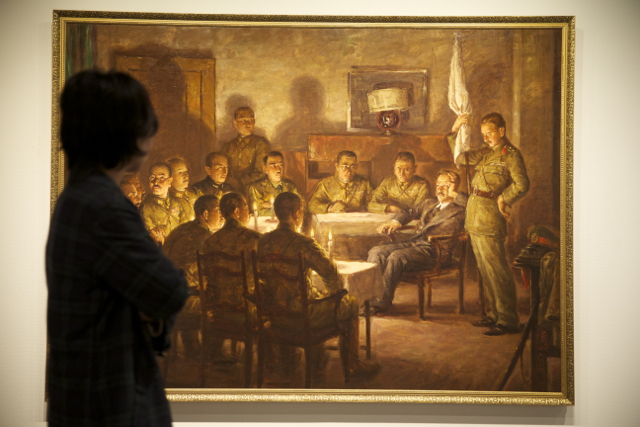 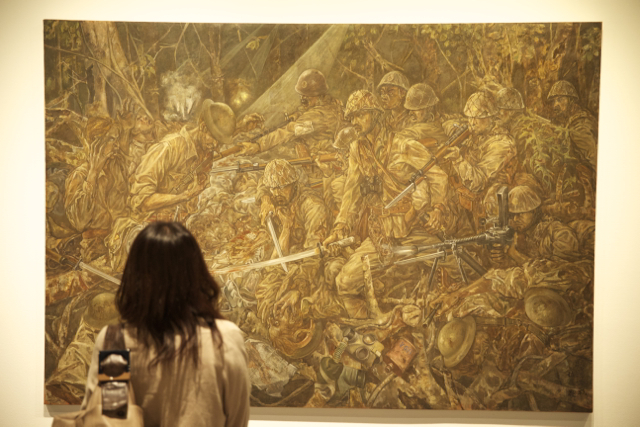 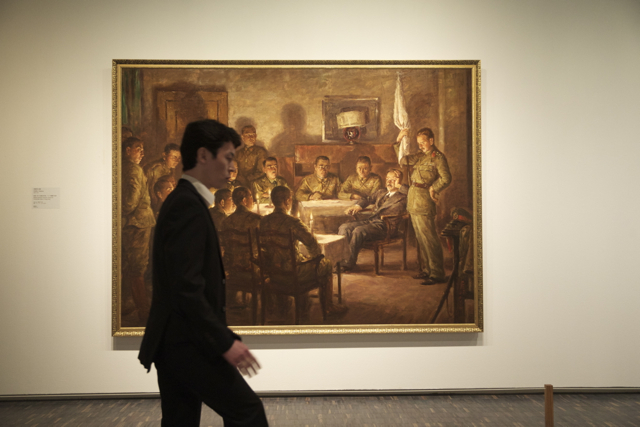 In the Tokyo Museum of Modern Art is an exhibition of war time paintings. 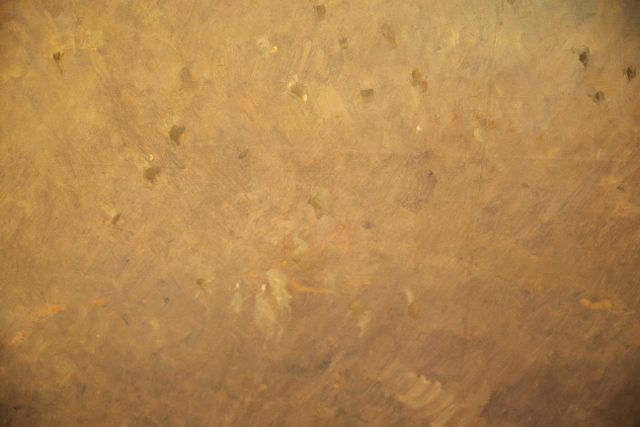 Here are but a few samples. 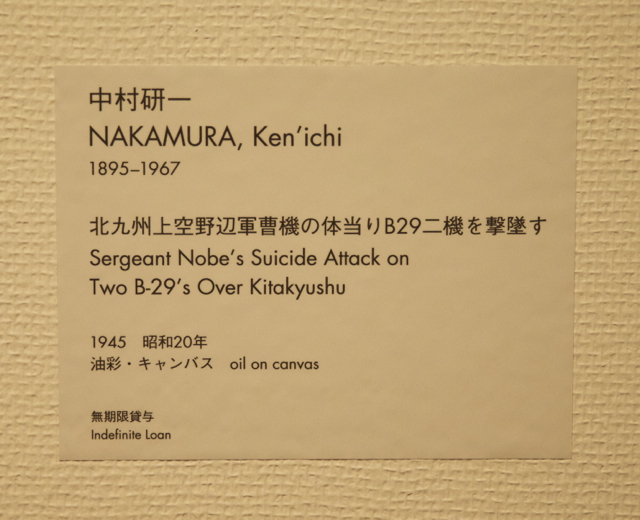 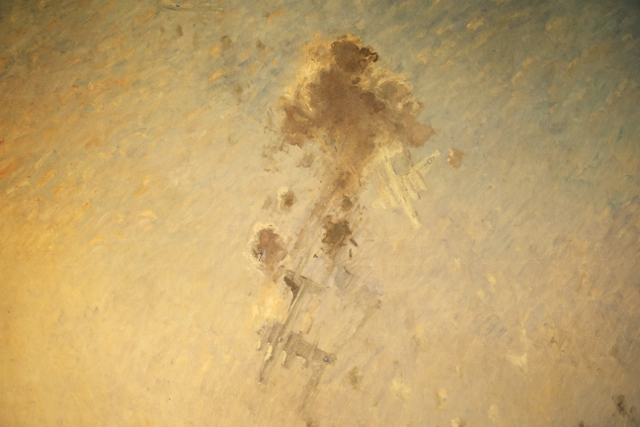 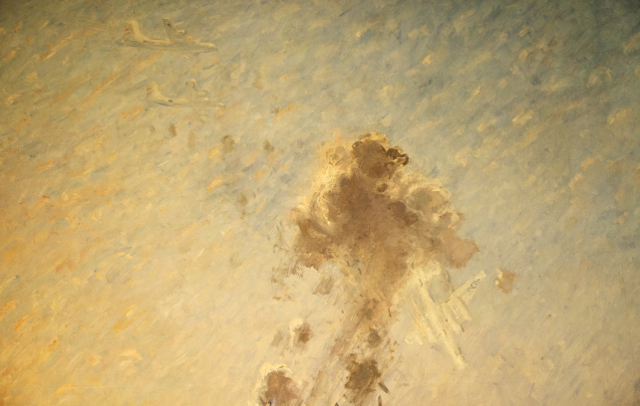 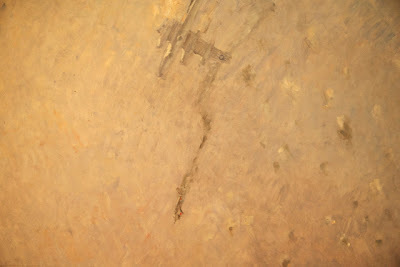 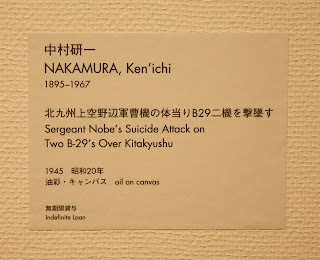 Obviously, I was so struck by the intensity in all of them but also the painterliness, especially in the last one of the kamikaze attack on the American B-29's. They chose a 'Western' way of working these subjects into oil paintings. 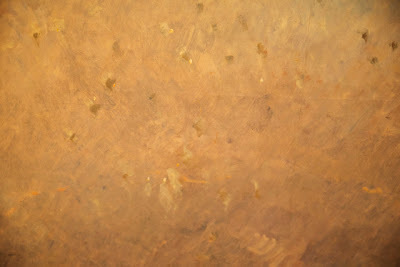 It as if the painter (Ken'ichi Nakamura) had Monet in mind when he made this incredible picture. 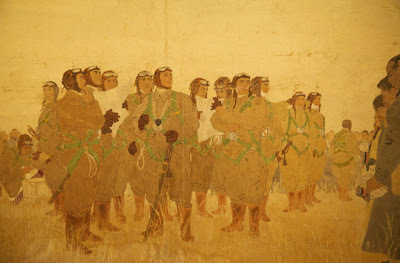 I was very moved by them and leave them for your perusal.